My collection of anthologies & other publications where my work can be found. 1001 Knights is a massive 3-volume anthology edited by Annie Stoll and Kevin Jay Stanton. It's goal was to create people-positive characters with feminist overtones all around the concept of knights. There are over 260+ artist contributors that explore these concepts through illustration, comics, poetry, and prose. I created an 8-page comic that can be seen in the 2nd volume Fellowship around a girl, her older sister, a crazy old witch, and their talking dog who have to learn how to work together in strange ways to beat a board game that turns them into real life knights. Edited by Kelly Phillips and Claire Folkman, Dirty Diamonds is an ongoing all-women comic anthology with contributors from all around the world. The anthology focuses on semi-autobiographical and autobiographical work and has gathered personal stories from women within the comic and creative industries since 2011. Issue #6 revolved around the topic of beauty and aimed to celebrate, examine, challenge and embrace the concept of beauty. My short comic in it revolved around my first surgery I had when I was 20 years old and the reactions I received about my abnormally large scar that made me rethink my concept of beauty standards. Let's Make Comics is a small comic collective in Chicago that come together every other Tuesday of each month to talk, promote, and work on comics. 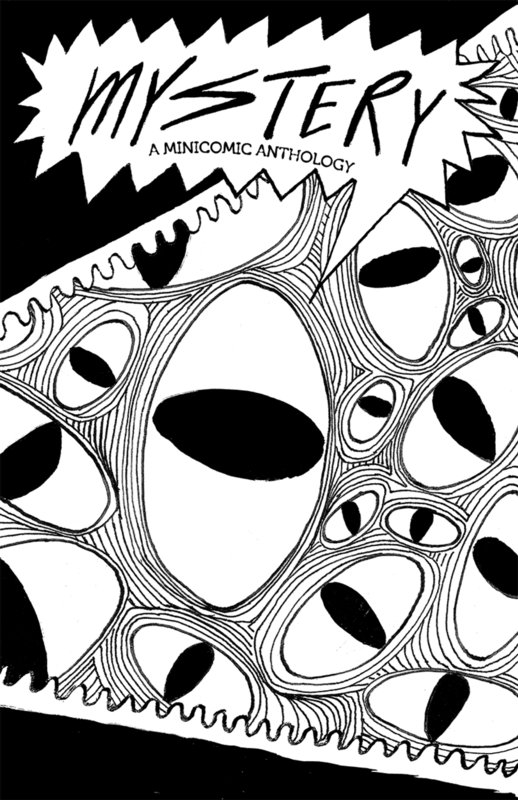 Let's Make Comics has produced a number of anthologies in the past few years to highlight their members work. Each year, the anthology has a different theme. My work can be seen on the cover of the Forgotten History anthology as well as a short 4-page comic inside revolving around a fictional museum highlighting the real life of Ching-Shih, the famous and highly successful female pirate. My contribution was a short 3-page comic about a murder mystery where the facts on the case are unknown and the theories of those who tell the story are highlighted. Northside Comic Artists: Middle of the night. The Northside Comic Artist is a group of comic artists that host weekly drawing meet-ups, drink and draws, comic related discussions, and group project. Each year they create an anthology highlighting member's work with a unique topic for each issue. I created a short 3-page comic about a trio who have to hike through the dark woods to defeat the demon that lives in the center that has tainted it. I created a short 2-page comic about an old woman telling the story of the Bird of Mars to a little girl and her talking dog. A paranormal and spooky anthology highlighting spooky stories from around the world and diverse voices. The stories range from autobiographical to fictional and highlight a number of different types of scary stories. For this anthology, I worked with writer Natalie Leif to illustrate her autobiographical story of her brother and her adventures near an abandoned barn where they discover something disturbing.